American Girl dolls checking in at their Grand Hotel, living in a world that is fueled by girl power. After weeks of blissfully blogging about Meghan Markle and her ascension to royalty, it’s nice to shift gears and write about another American girl. In fact, in many ways, Meghan Markle embodies the traits that American Girl tries to instill in their fans and collectors. American Girl is all about unleashing the power that resides inside all girls: a desire to be seen, to be heard, to be valued, and to be validated. Sure, those are goals for most human beings, but some girls still struggle to speak their mind without downplaying their importance and their self-worth. Meghan began to cause a stir as a tween when she took on the CEO of a soap-detergent company and forced the business to reword its advertising. That’s a lot of guts and gumption. That’s a lot of American Girl spirit right there! For the summer, American Girl is hoping that our daughters, granddaughters, nieces, and godchildren keep themselves busy and moving forward. 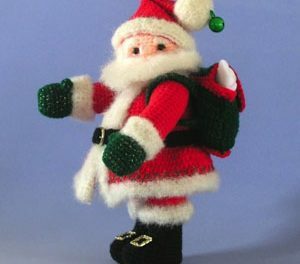 For that purpose, the company has doll accessories and costumes that key into a warm-weather motif. In the world of American Girl, all girls are accepting and non-judgmental—they are the polar opposites of Tina Fey’s “Mean Girls” and the horror comedy “Heathers.” In the American Girl universe, your tween daughter can pack up for summer camp and include her doll companion, along with her bedroll, fanny pack, and mosquito bug spray. It’s a world I want to visit and live in, too! 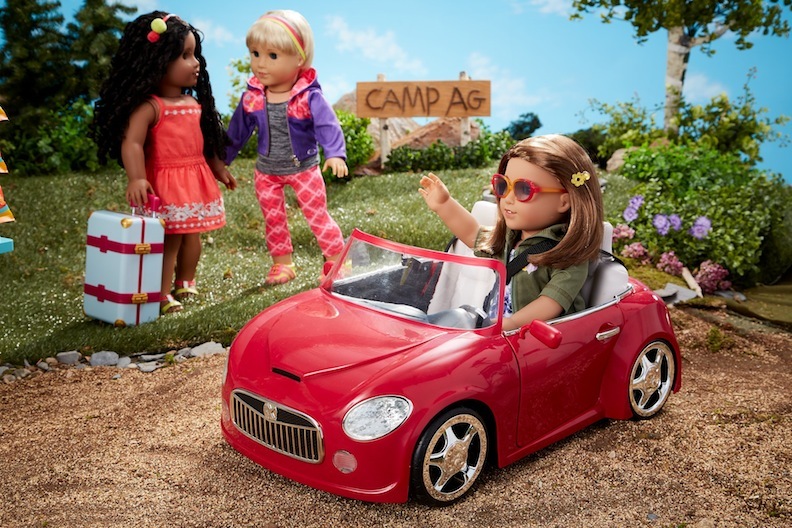 A remote-controlled car sends this happy camper off on an American Girl summertime adventure! When I headed off to Toy Fair 2018, I mentioned in my “Are Your Ready to Join the Doll Fight Club” blog that I saw a young girl who had her American Girl doll with her. Spotting a young girl who was totally caught up in the magic of make-believe, and wasn’t shy about chatting with her vinyl confidante, made me feel hopeful for the future of doll collecting and collectors. I think that’s what American Girl is doing—it is fighting to preserve the notion of dolls as a pastime and as a spark for girls appreciating the feminine/feminist arts. Your daughter is in control of her own destiny! 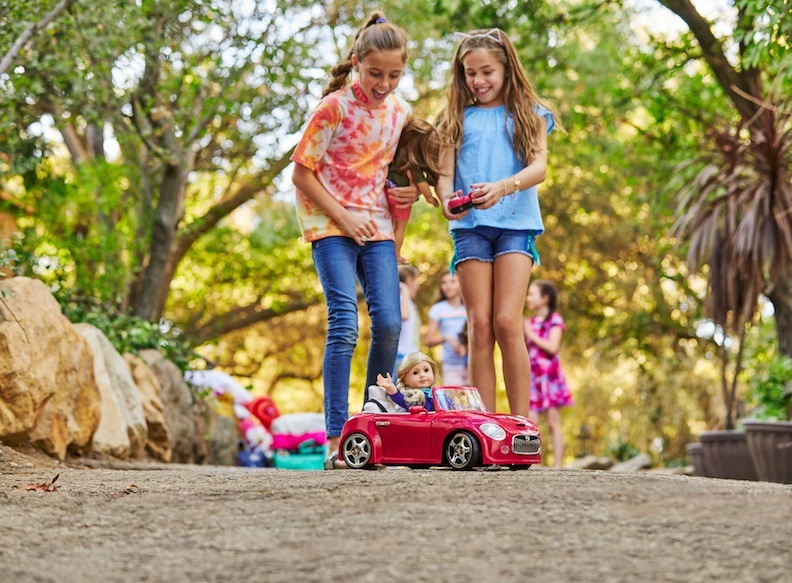 The American Girl remote-controlled car is a snazzy and fun new vehicle. 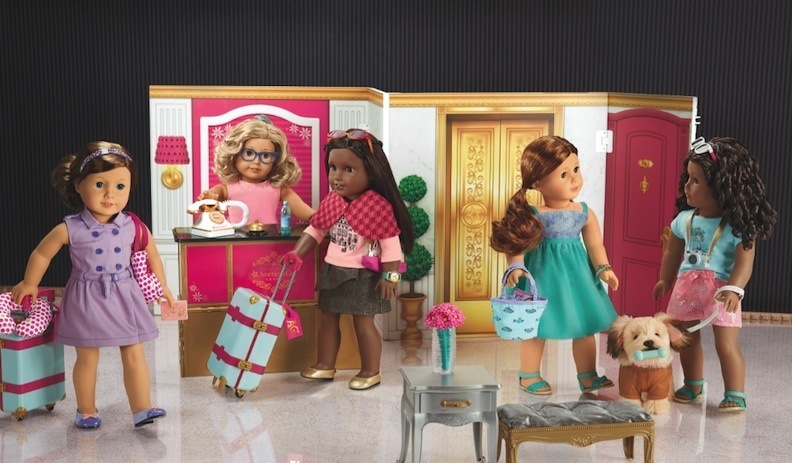 Yep, I said it: dolls are a part of the feminist landscape. Made primarily by women, almost entirely for women, you can’t get any more female-centric than dolls. Still, with girls being encouraged to join the Boy Scouts (now just the Scouts) and invitations to de-segregate other onetime male-only enclaves, girls and boys are being told that their differences are nonexistent and, what’s more, can simply be overlooked and suppressed. A boy and a girl together in a classic beach scene! Parity presented in the American Girl way! American Girl is a cultural oasis for parents who want their female children to feel comfortable in their doll-centric skin. Yes, a boy was allowed into the sacred fold—Logan Everett is his name—but the line has always been, and continues to be, a tribute to the American spirit that girls have exhibited since Colonial times. While beginning as a historical, educational playtime alternative, American Girl has morphed over the years into a prism of contemporary attitudes and behavior. Its line has certainly grown more diverse, as the country has become more multicultural. And as the heroines of the American Girl books and doll lines have meandered from being exclusively white, the girls retain that indomitable American Girl attitude. In the Mattel American Girl world, it doesn’t matter the complexion, the immigration status, the economic background, all American Girls are potentially bright, strong, courageous, and caring. The doll line is much more than a passing fancy; it’s a lifestyle brand. Its magazine is celebrating its 25th anniversary this year, and the July to October 2018 issue is a special creativity one. 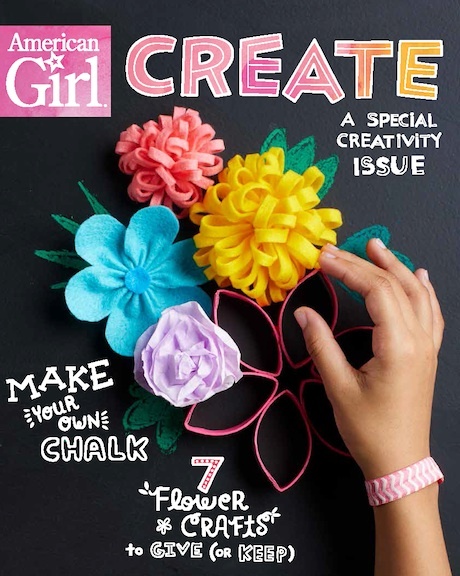 American Girl Create can be picked up at American Girl retail stores, online at their website, and at major retail stores that carry magazines. The single issue price for this special title is $9.99. It is a great resource for girls who are looking to fill their summer with DIY hands-on projects. Included within are science-inspired crafts, food science recipes, chalk crafts, and articles about an ice-cream scientist (I’m not making this up, what a cool position) and learning to embrace personal imperfections. 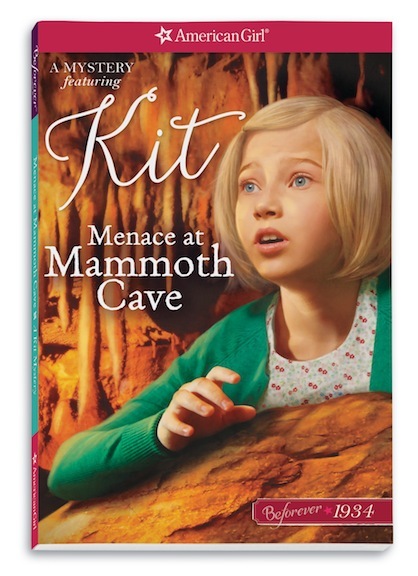 Just one of the many American Girl titles that your child can dive into for summertime escapism. I guess the clear-eyed vision of the USA is what I like most about the whole American Girl experience. It is wise enough to straddle the universe that we are all currently inhabiting. 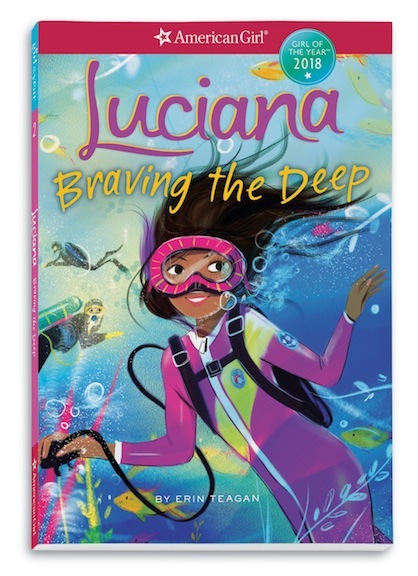 We’re standing at an odd threshold where girls have been built up with constant exhortations of “girl power” and “girls can do anything,” while boys (our sons, grandsons, nephews, etc.) are being told that they suffer from “masculine toxicity” and are dangerously disruptive to academic and organized-social gatherings. 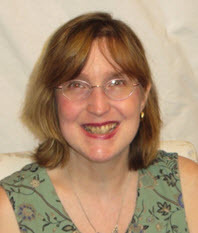 (The diagnoses for boys as autistic and riddled with attention-deficit disorders grow every year.) American Girl is a champion for proud and confident girls, while American boys are floundering, withering, and are being doped up and pharmaceutically modified. That’s why I think it’s amazing that American Girl opened up its doors to boy characters in 2017. While boys are having doors slammed in their faces in so many real-life settings—college attendance for boys is spiraling downward—and their male-only associations are being eradicated, American Girl extended a hand of friendship and equality. 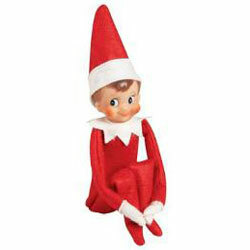 Boy dolls don’t sell as well as girl dolls; it’s a fact of the marketplace. 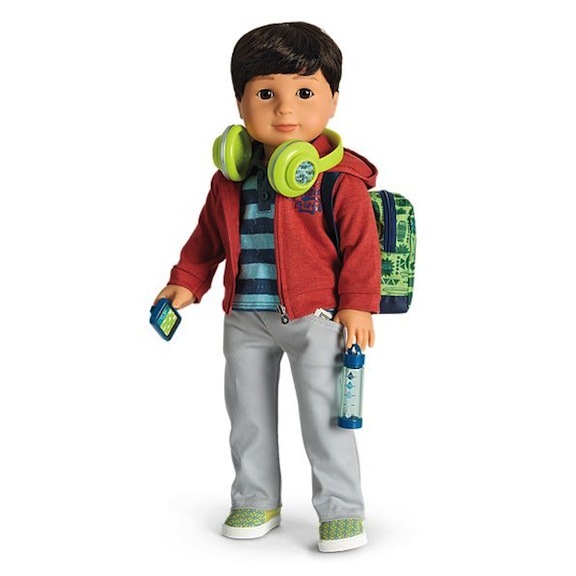 But American Girl was brave enough to design a boy doll, Logan, that was friendly toward his girl counterparts, and was encouraging to them, as well as encouraged by them. 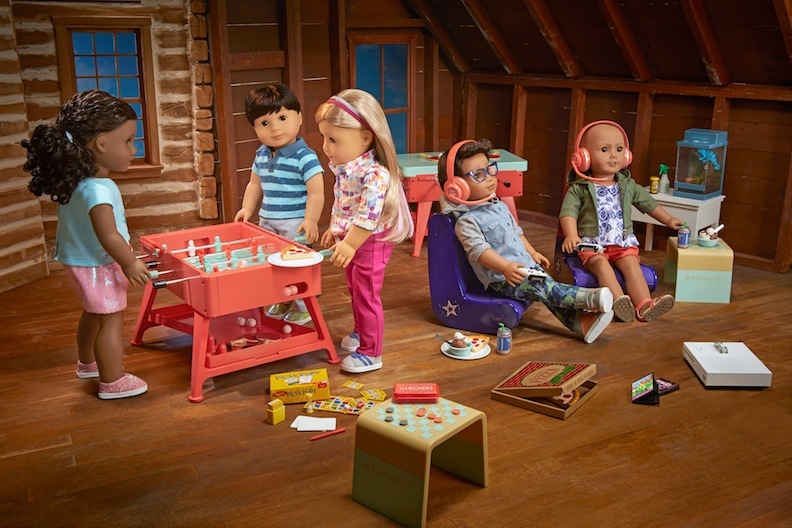 The American Girl and American Boy doll lived together in harmony (perfect, because their setting was the competitive world of songwriting and performing). 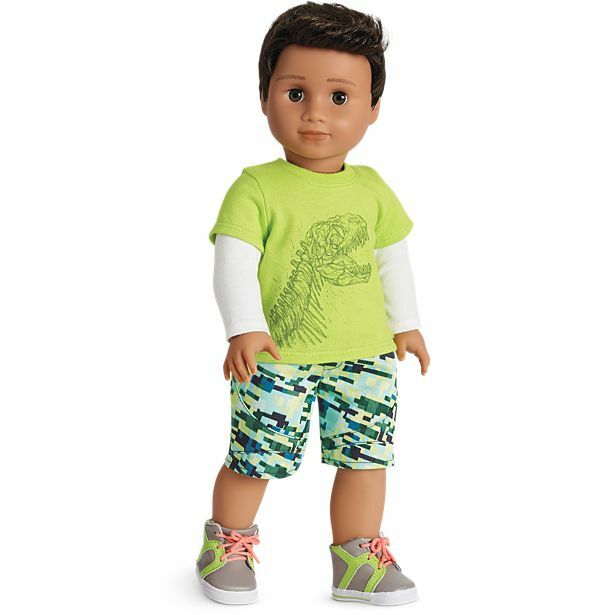 They’ve even further expanded their boy options in 2017 with their Truly Me line that allows parents to select 18-inch dolls that mirror their own sons’ appearances–girls do have brothers and boy cousins, and male best friends, you know–and these mini-me dolls are reflective of different races, skin tones, hair texture, eye hues, and so on. 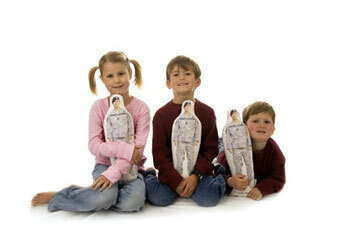 American Girl is a doll company that has always deigned to elevate girls, but never denigrated boys. They have not so much put girls on a pedestal, as they constructed ladders and staircases to help guide girls to the top of their class, social circumstances, and personal growth. Unlike many other forums where a girl’s success can only be achieved at the expense of knocking down or belittling a boy, American Girl has always acknowledged that we live in a nation, in a world, peopled by people! And that observation does sound dopey at first read. What else would people a country, but people! However, too many institutions have expressed their love for humanity, while all the while despising individual humans. American Girl makes dolls, publishes books, manufactures clothing, and gives girls a guide for education, self-esteem, and good conduct. It’s all about positivity, and that’s in short supply these days. 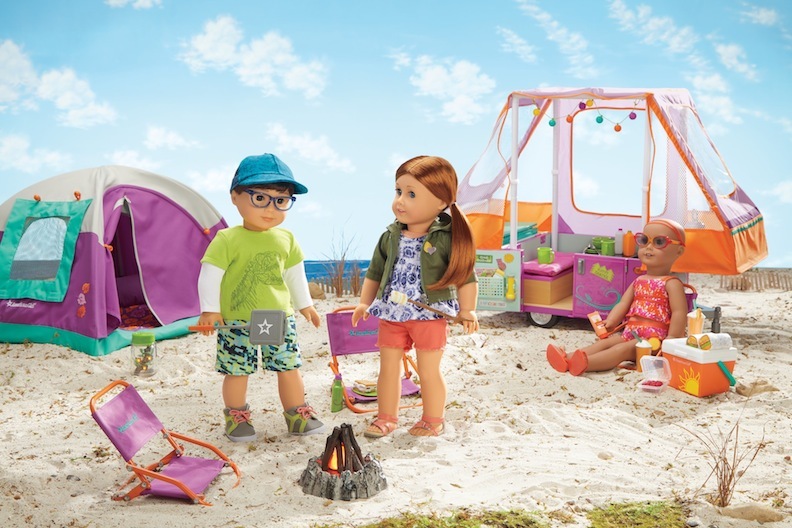 American Girl continues to expand its brand and its dolls because their mission has never changed. They recognize the spiritual goodness, the heart, and the brains of American girls. Their American Girl dolls are reflective of that compassion. Let’s hope it continues to be extended to American boys. Maybe Logan needs a brother or an adorable best bro? Buy Any Good Dolls Lately? Fess up and share the details. I’m in the market to know.